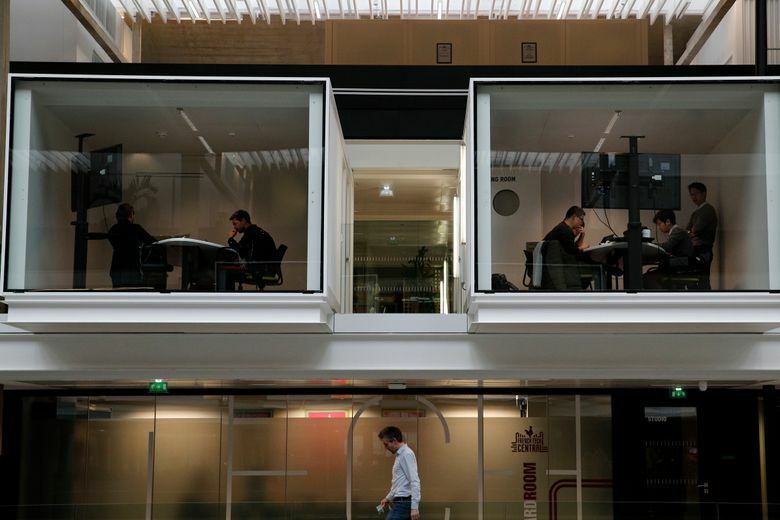 PARIS (AP) — For a glimpse at President Emmanuel Macron’s vision for the new French economy, look no farther than Station F.
Entrepreneurs don virtual reality goggles and share ideas with business angels in this old Paris train station-turned-startup incubator. 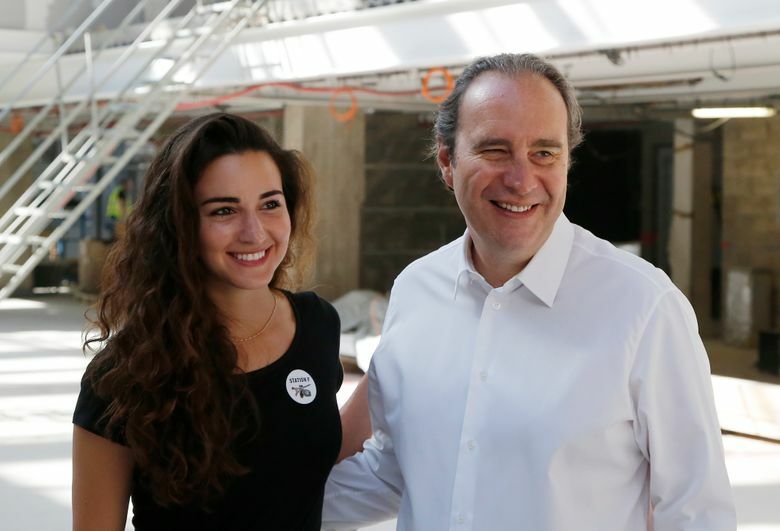 The buzzing business center founded by telecom tycoon Xavier Niel hosts over 3,500 people, all hoping to see some of the 1,000 startups based here bloom into a global firm capable of competing with Silicon Valley behemoths. It’s part of what Macron hopes is a fundamental shift in the French economy, which confirmed this week that it’s back on the upswing after years of stagnation. 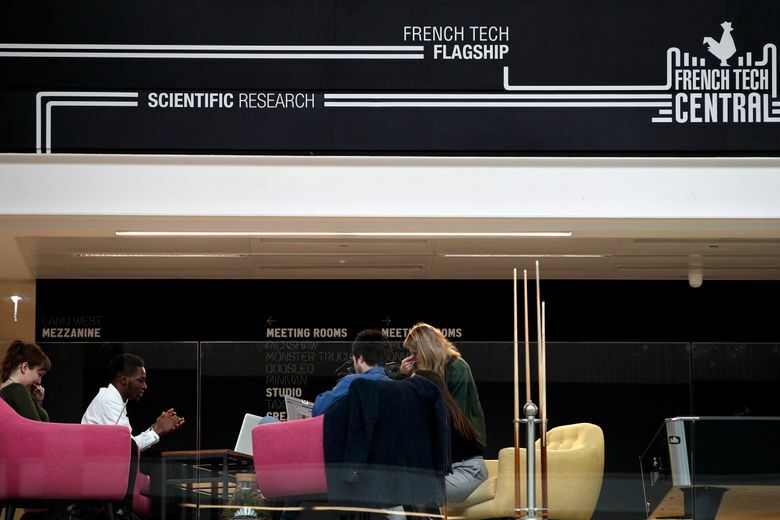 With the support of Mayor Anne Hidalgo and then-President Francois Hollande, Niel founded Station F in 2017 to bring together young and eager startup managers, financial players and key public institutions in an effort to develop France’s budding tech ecosystem. The vast space hums with energy and electronic devices, as its mostly youthful workers take breaks around multi-colored sofas, or bounce ideas off each other in shared meeting rooms. Station F includes people from multiple countries. Niel is notably keen to attract talented people looking to leave London as Brexit looms, and is among a group of startup enterpreneurs and tech figures traveling with Macron on a trip to Africa this week. 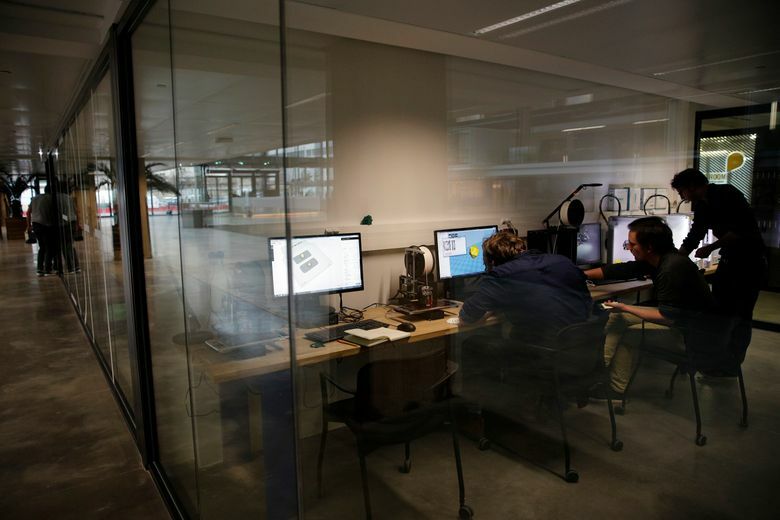 “We need to create – we need these startups to build tomorrow’s big companies and to do that we need to attract talents from as many places as possible,” Niel, CEO of Iliad and founder of coding school 42, told The Associated Press. Among entrepreneurs thriving off Station F’s atmosphere is Gildas Dussauze, who founded virtual reality social platform Virtuoz just under three years ago and spends most of his waking hours in search of clients and cash to finally start paying his staff of six. “The combination of Station F and Macron, yes, it has turned France’s image upside down, in a good way. It’s an image of audacity, youth, enthusiasm,” he told The AP. 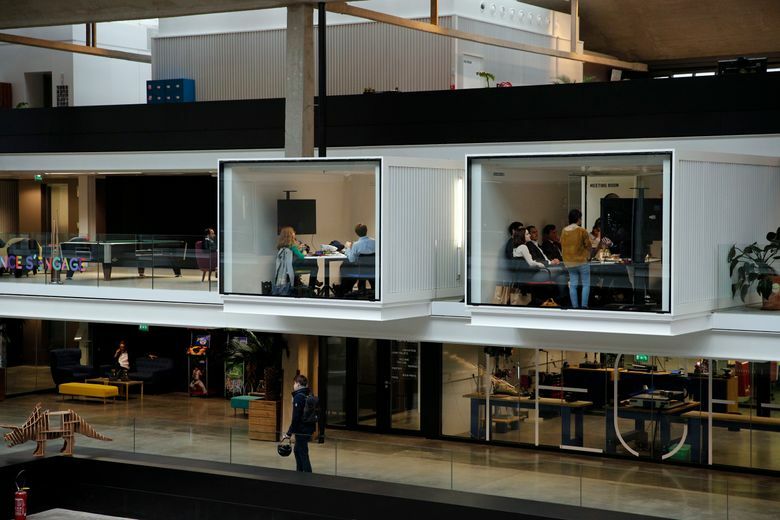 But Station F includes representatives from French institutions like the public postal service La Poste and employment office Pole Emploi, in an effort to make startups a more integral part of the national economy. Macron’s election last May, his relentless public relations campaign to put France back onto the world map of innovation and a changing business environment have fueled a quick shift in the country’s image. France’s economy grew 1.9 percent in 2017, its highest level since 2011, according to figures released Tuesday. That’s partly because of Macron but also because of an improving climate Europe-wide and measures taken under his predecessor. Still, Macron has boosted investor confidence. The state statistics agency’s business confidence indicator hit its highest point in a decade in December, across multiple sectors. 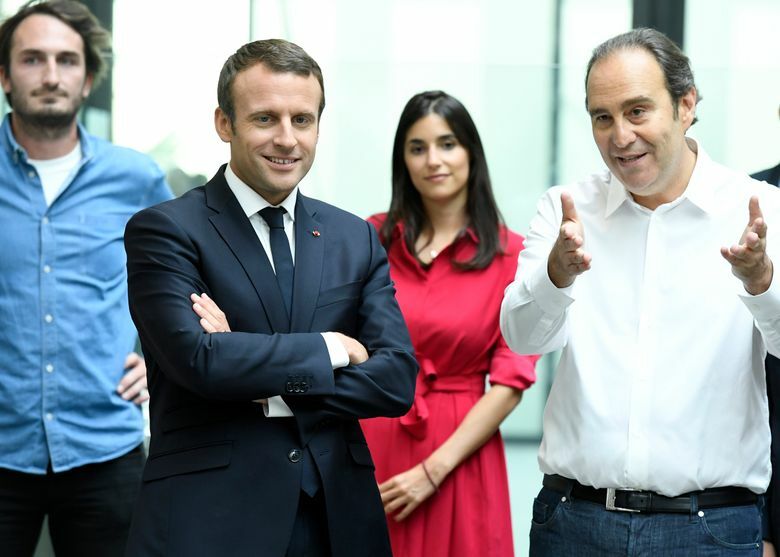 The startup sector remains a relatively small piece of the French economy but Macron, Niel and the residents of Station F are banking on it to grow. Macron is notably trying to shake up labor laws that had favored big, traditional firms and made it difficult for small businesses to set up, hire and lay off workers when markets shift. He also abolished the wealth tax, to the joy of tycoons like Niel and anger of the left-wing opposition.